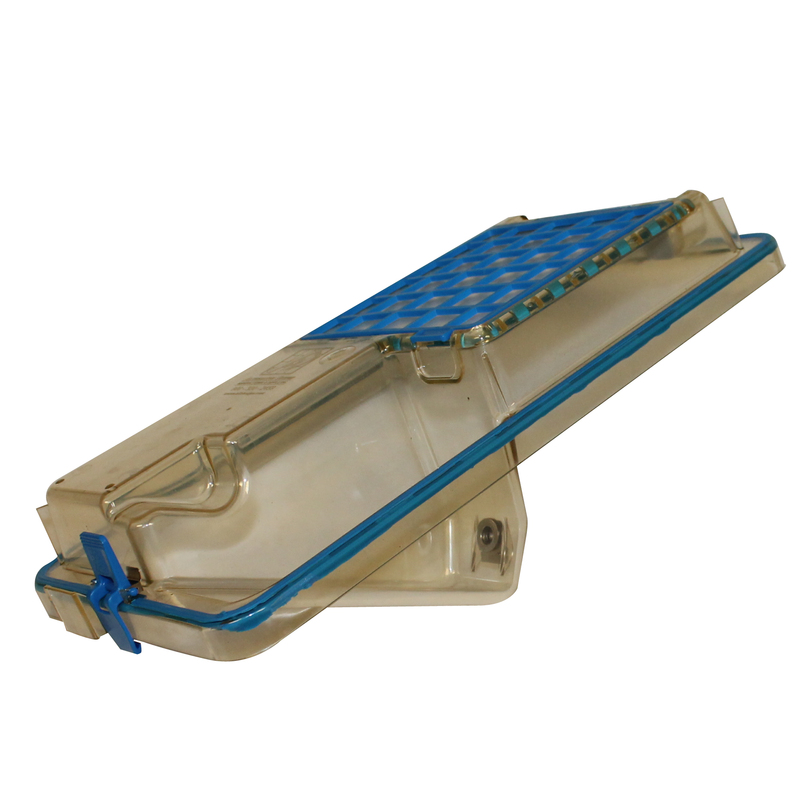 The Modular Animal Caging System, or M.A.C.S.®, is a ventilated caging system for rodents that adapts to your animal room needs. 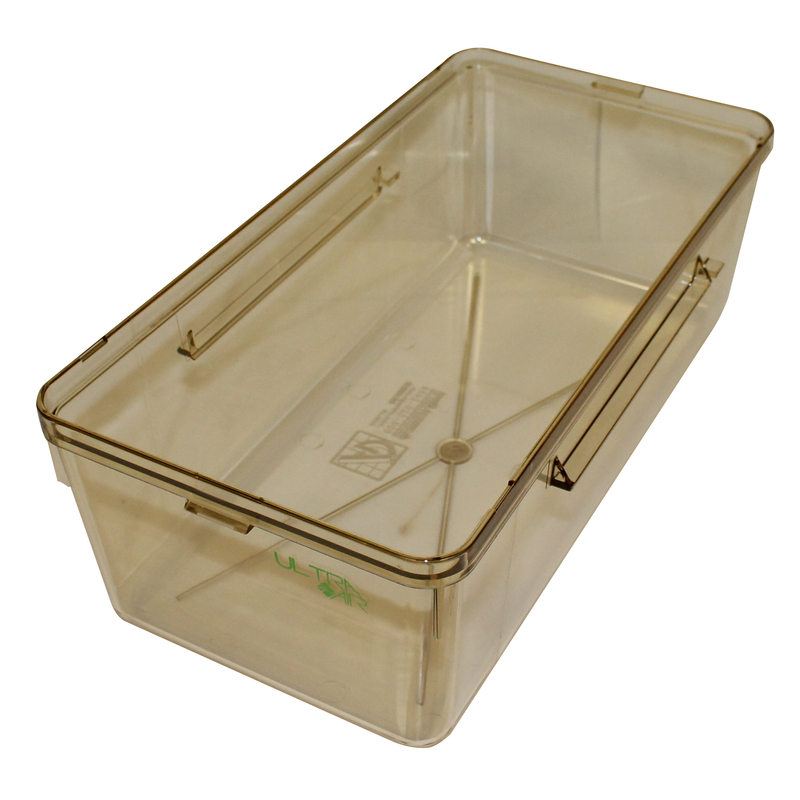 It’s a versatile system that allows you to increase cage density, create space and improve workflow in your rodent rooms. 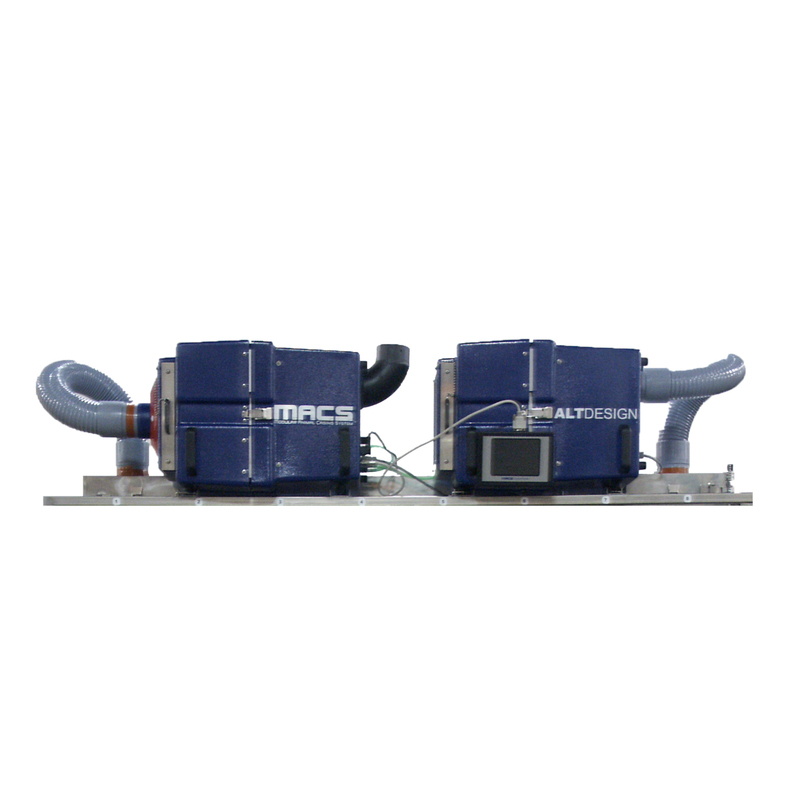 There are several frame styles to choose from with M.A.C.S.® including mobile, wall-mounted and rotary units. 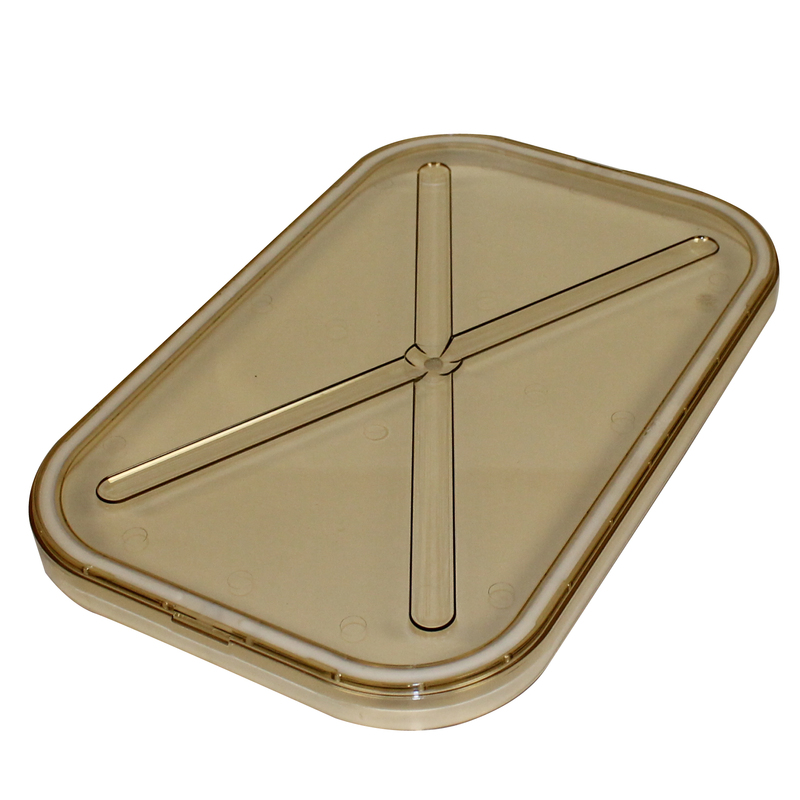 Frames are made from 1” square stainless steel tubing for durability and aesthetics. Frames hold vertical cage stacks in place along with the main supply and exhaust plenums. To maximize space in your rodent room, you can mix and match frames to achieve desired cage density and room workflow efficiency. 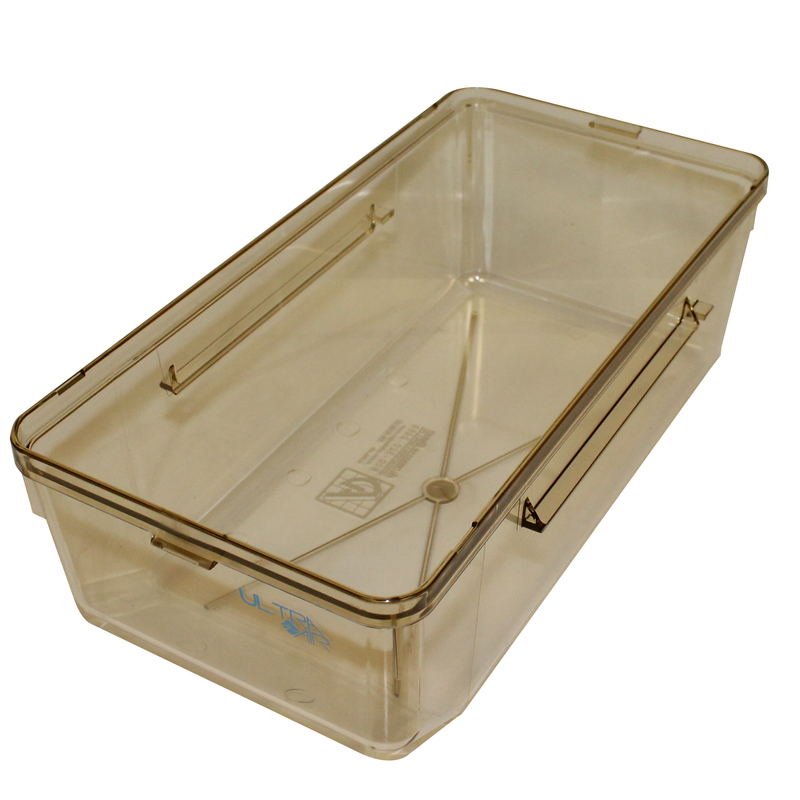 Choose the frames that meet your laboratory animal room space requirements and needs. 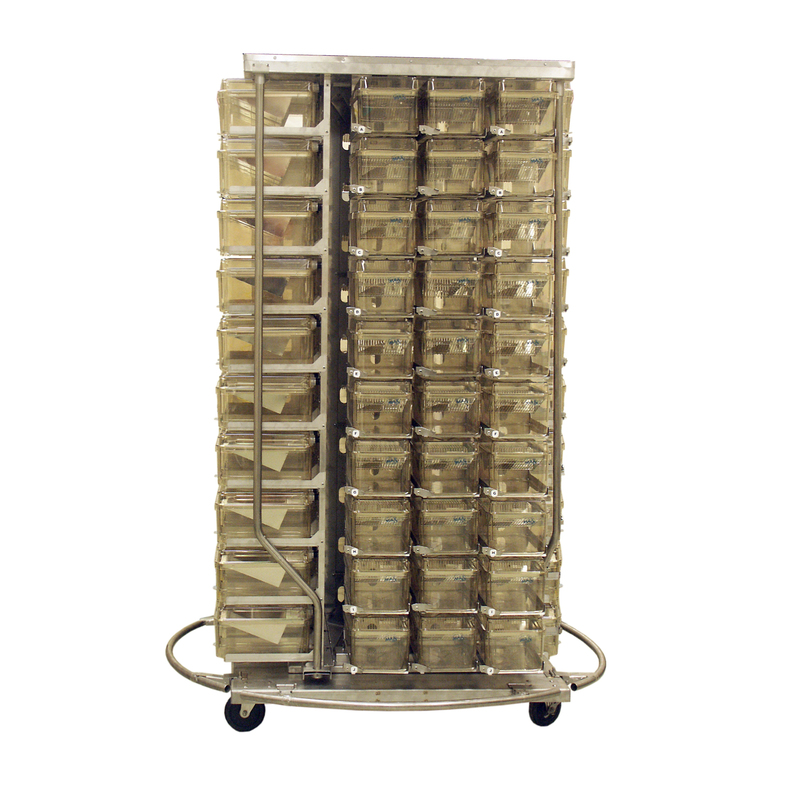 Thanks to our unique interchangeable vertical cage stacks, you can change a mouse rack to a rat rack and back again should your rodent research needs change. 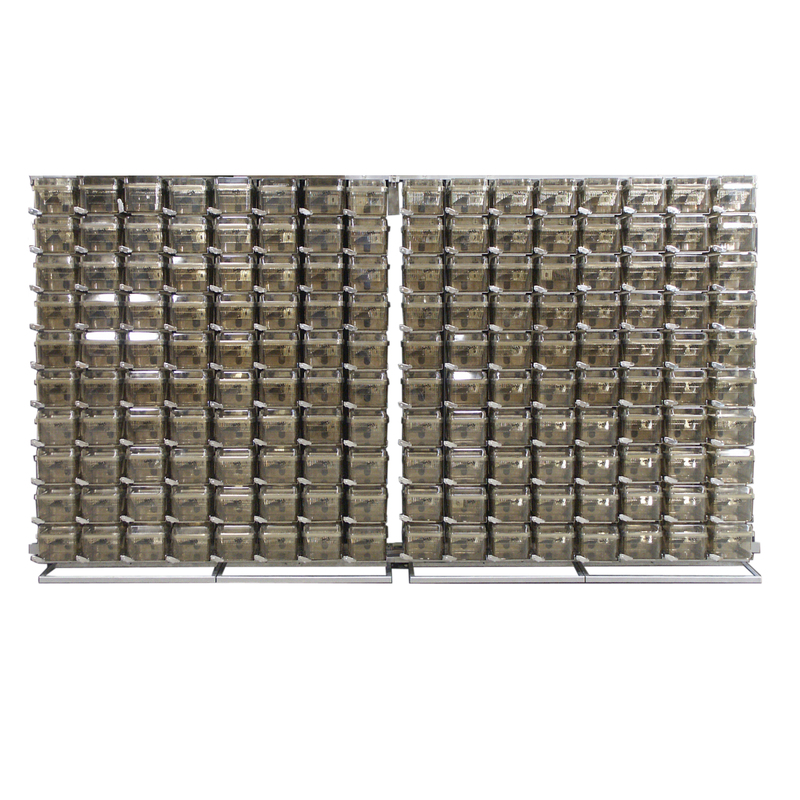 M.A.C.S.® frame options to choose from include: single sided mobile frames, double sided mobile frames, wall-mounted main frames, wall-mounted expansion frames and the rotary. 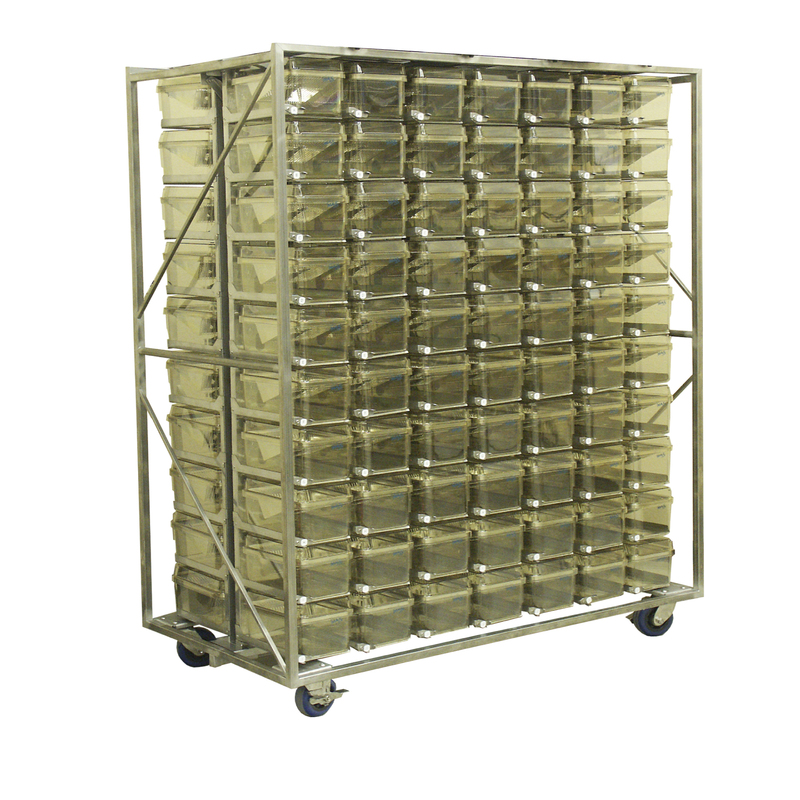 The heart of any M.A.C.S.® ventilated caging system is the Universal Vertical Plenum or Cage Stack. 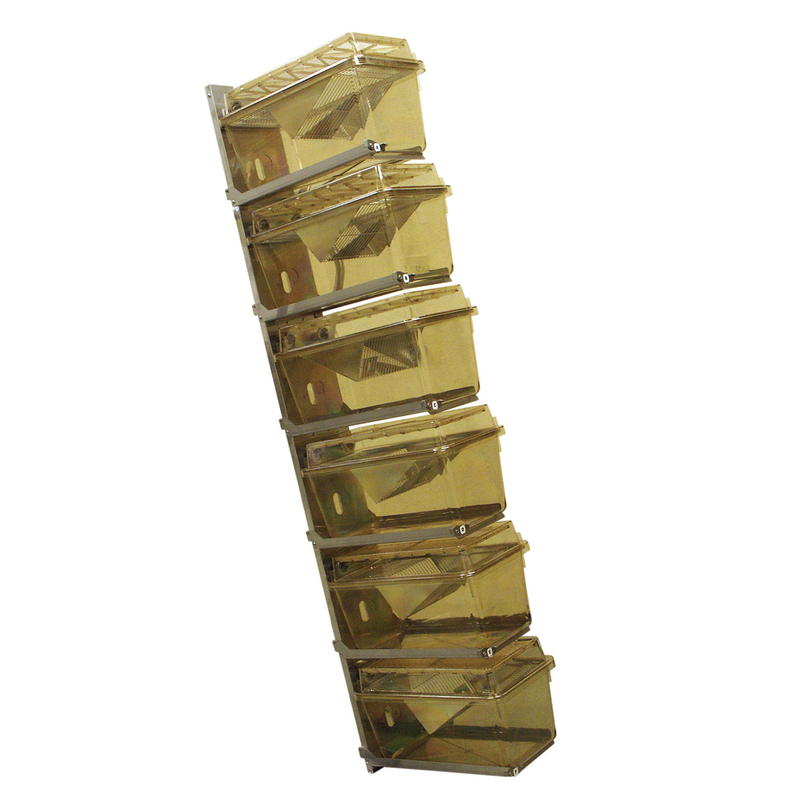 Each cage stack has a supply and exhaust plenum side. 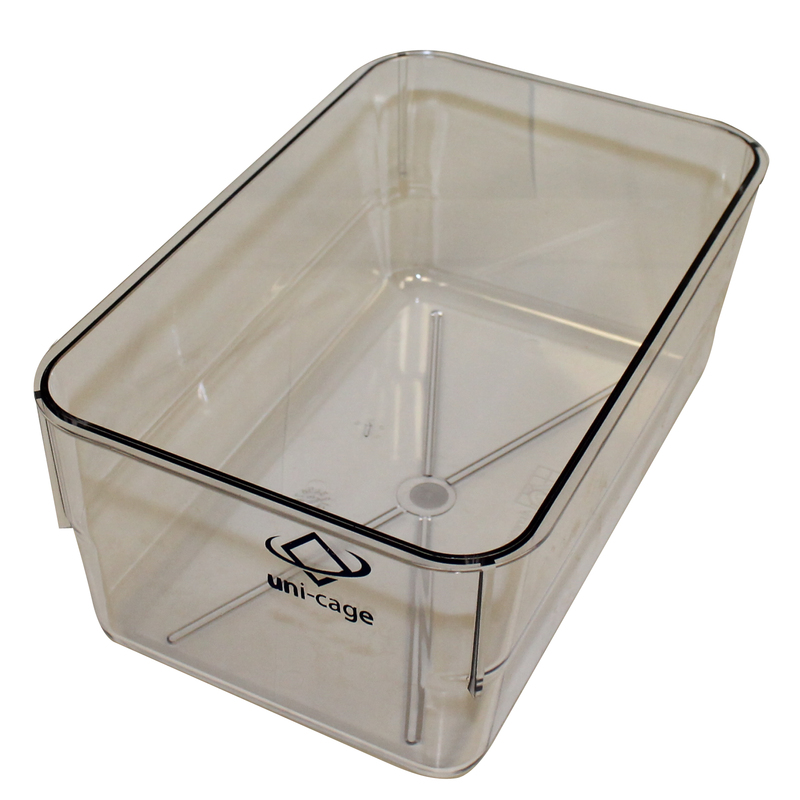 Space exists for an automated cage watering system if you are interested in that option. 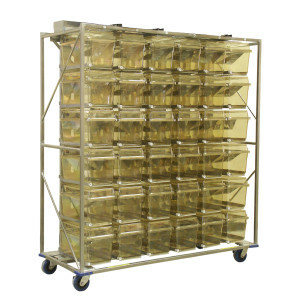 The cage brackets are attached to the vertical stacks and fold up easy for moving and storage. 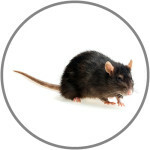 We offer a variety of bracket styles depending on your rodent species such as mouse, large mouse, rat, hamster and guinea pigs. 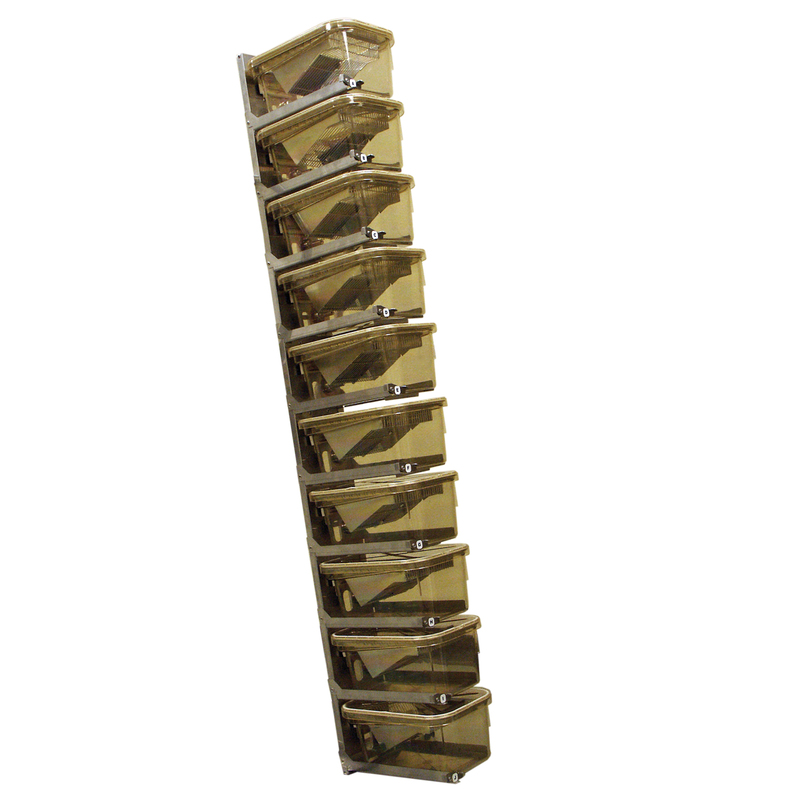 Our cage stacks are easy to handle and carry, weighing only 18 pounds without cages. 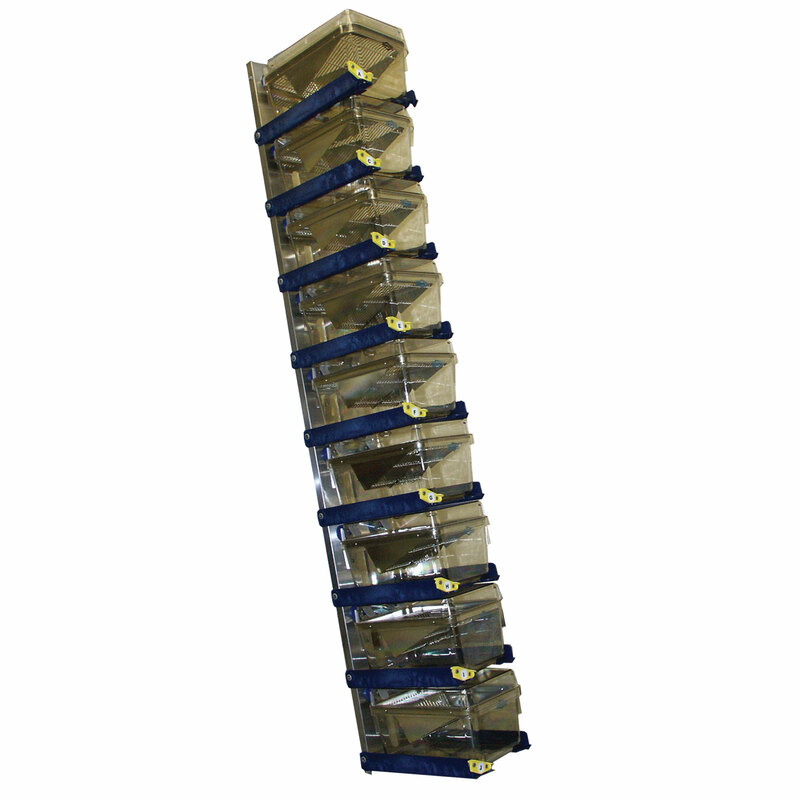 Choose high-density for greatest cages per square foot ratio or shorter stacks for low ceiling rooms. 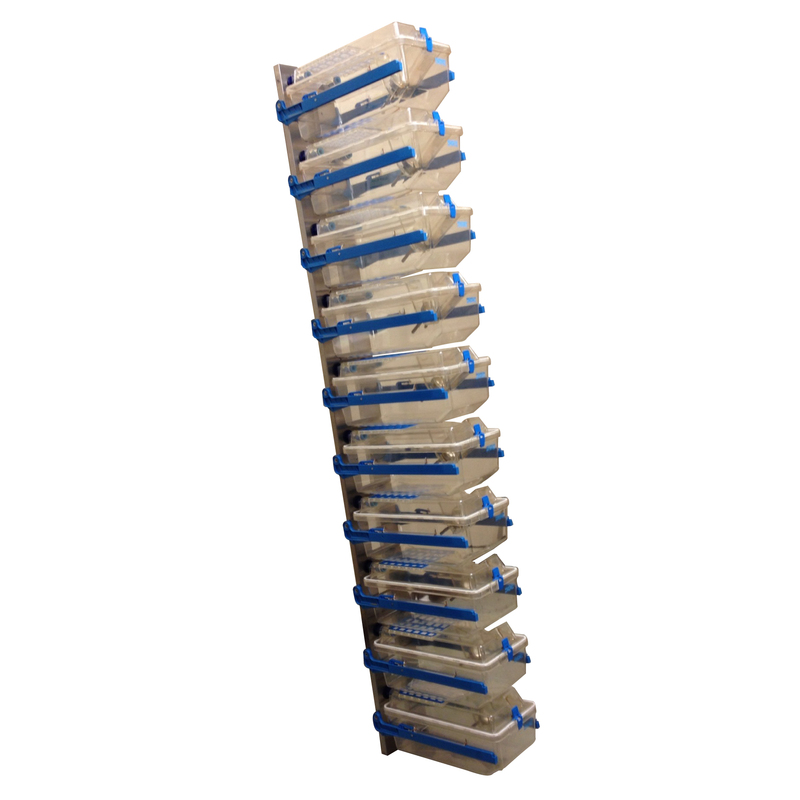 The standard mouse cage stack is 10 cages high while the standard rat cage stack is 6 cages high. 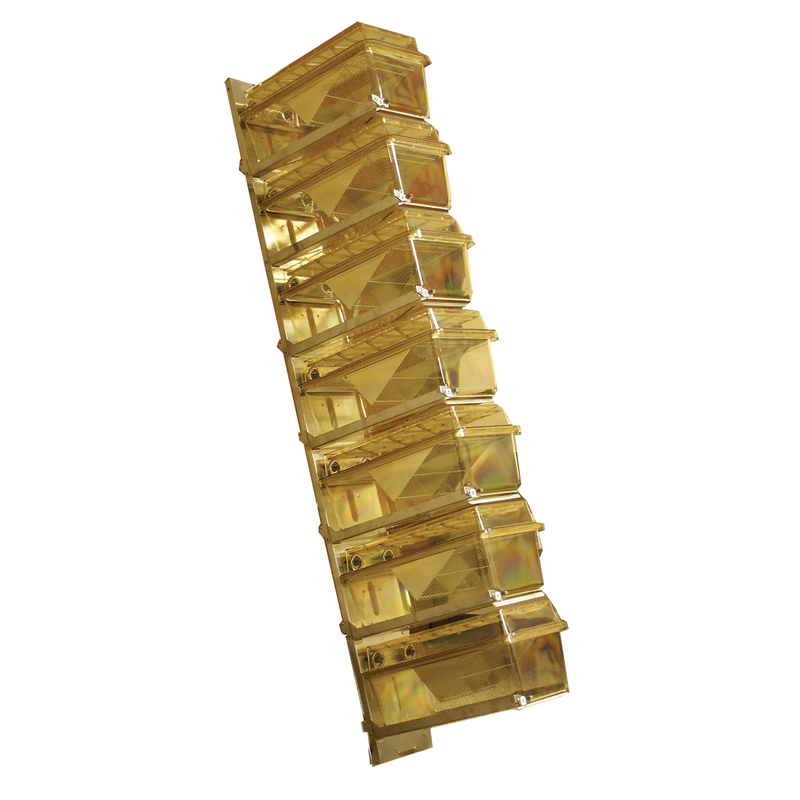 M.A.C.S.® stacks can be put on, removed and re-installed on any frame within the M.A.C.S.® ventilated system. 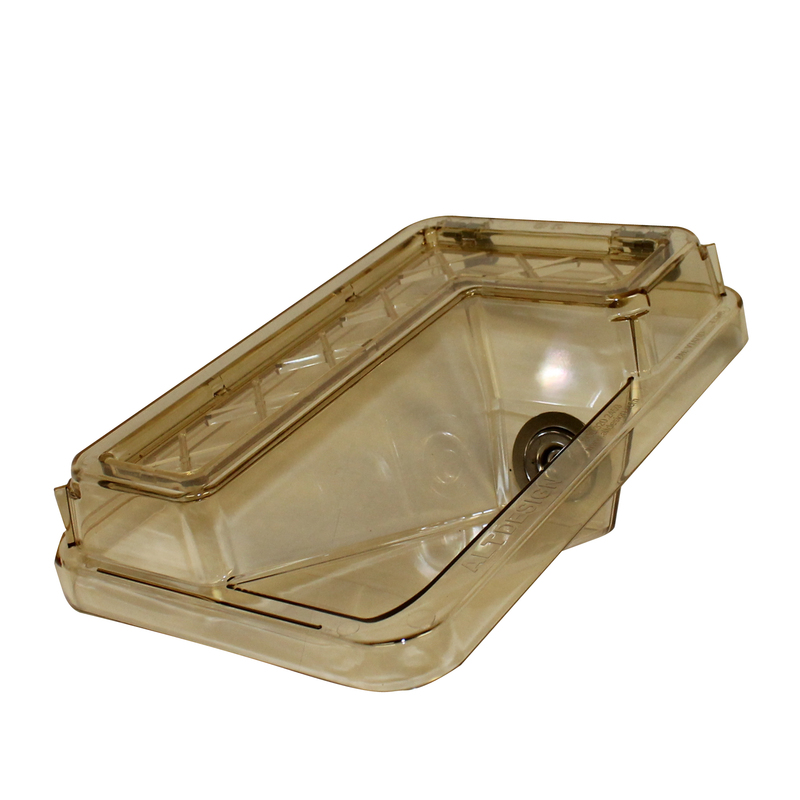 With removable stacks, you can now clean where the cage dust and dirt really hides – inside the exhaust plenum. Changing stacks for cleaning extends the life of your racks and lets you invest your budget elsewhere. 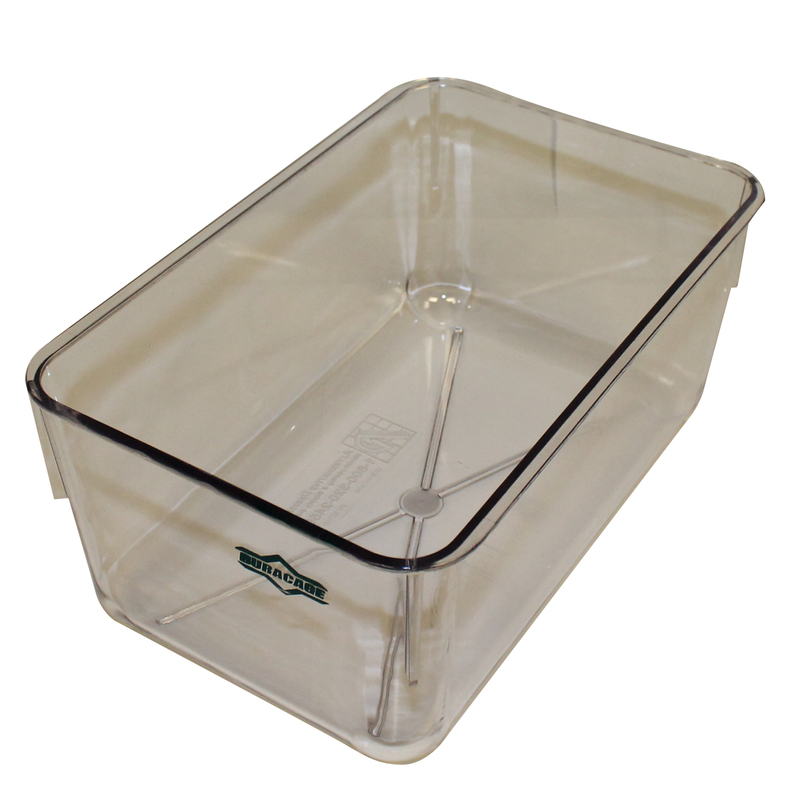 We offer several air delivery options to complete your modular animal caging system from Alternative Design. 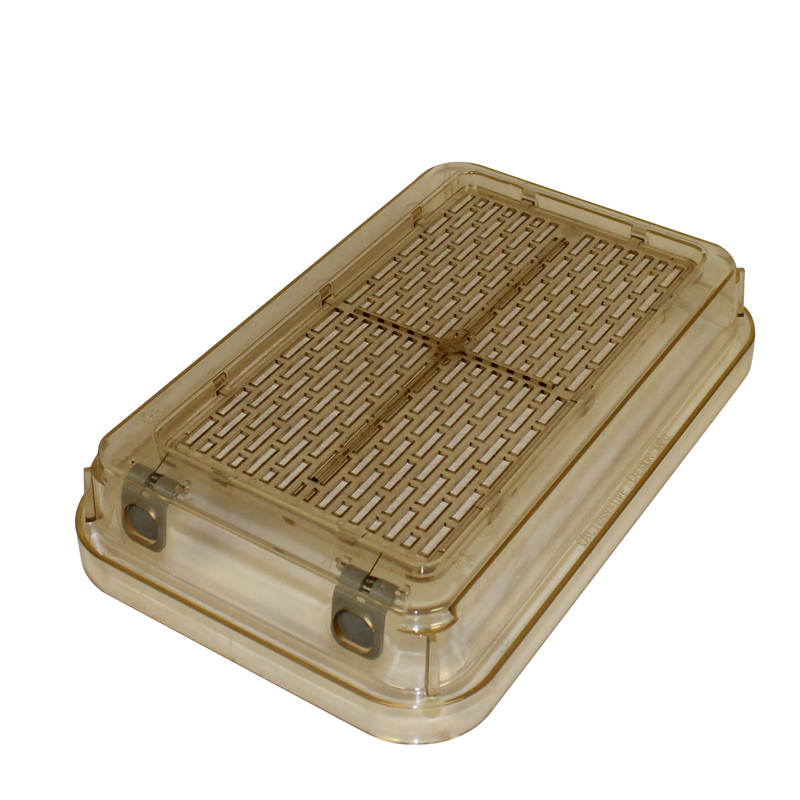 Choose from top mounted air handling units (AHUs) or our newest addition to the line, the Halcyon Air Tower. 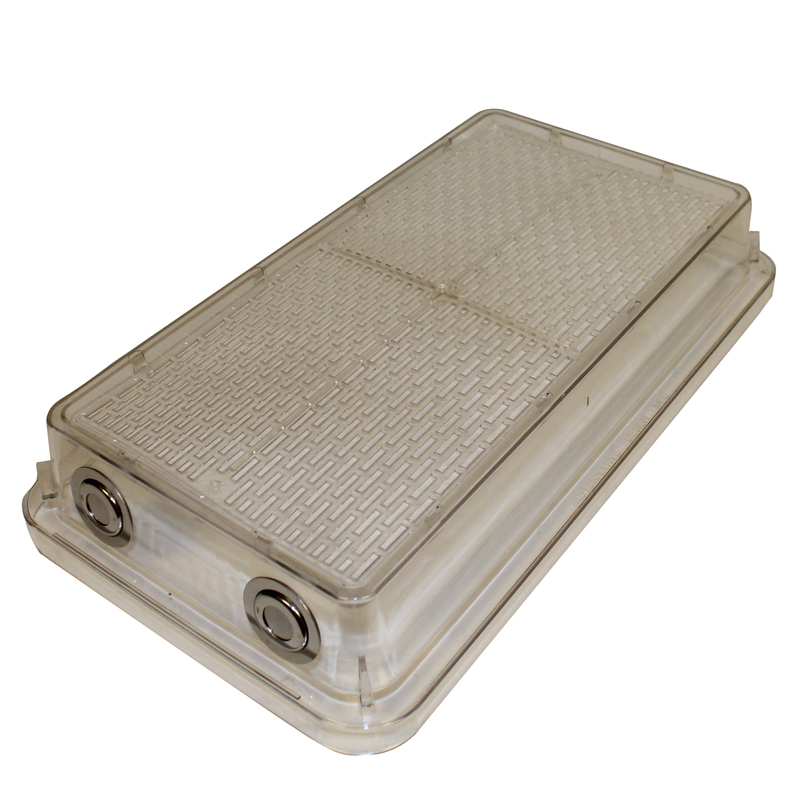 The top-mounted design is available in a standard two-fan option with or without direct building exhaust or a single fan with direct exhaust connection using a M.A.C.S.® PVC thimble. 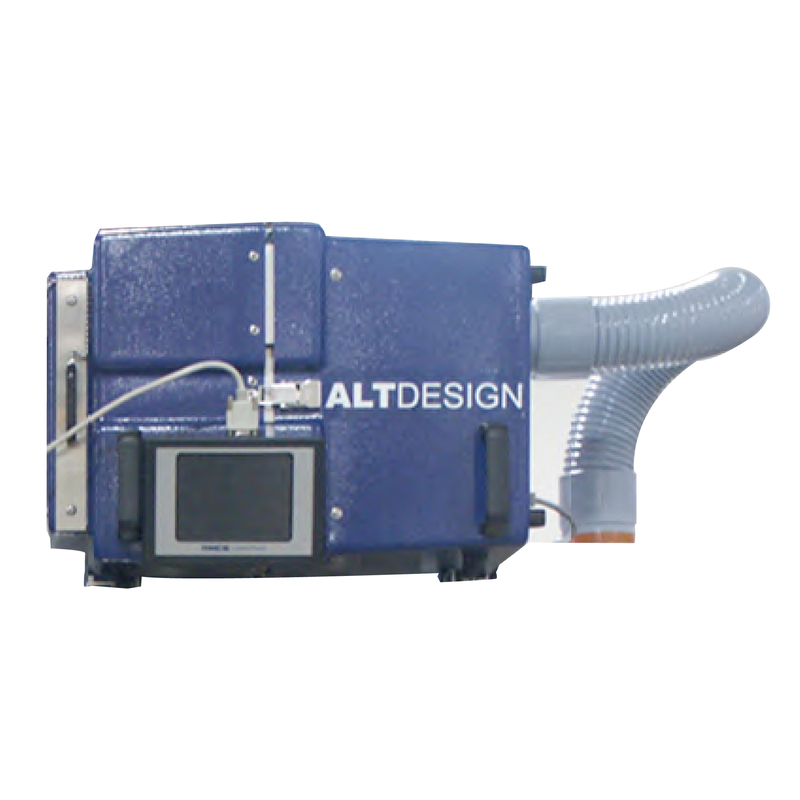 The Halcyon Air Tower includes supply & exhaust blowers in a single slim cabinet. 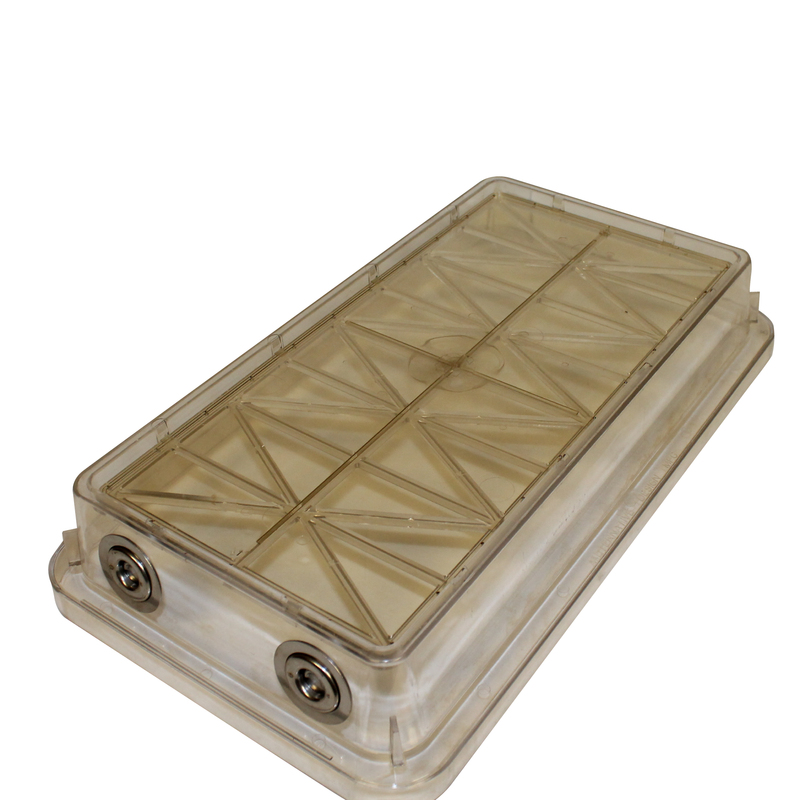 It’s designed to be energy efficient, easy to move around and provides quick access to pre-filters. There are three models to choose from – Standard, Enhanced & Premium. The Enhanced model adds wireless monitoring and alarm notification via text (SMS) while the Premium model provides battery back-up capability. 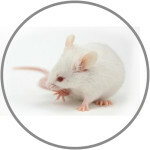 The M.A.C.S.® system uses standard laboratory animal industry size mouse, large mouse and rat cages. 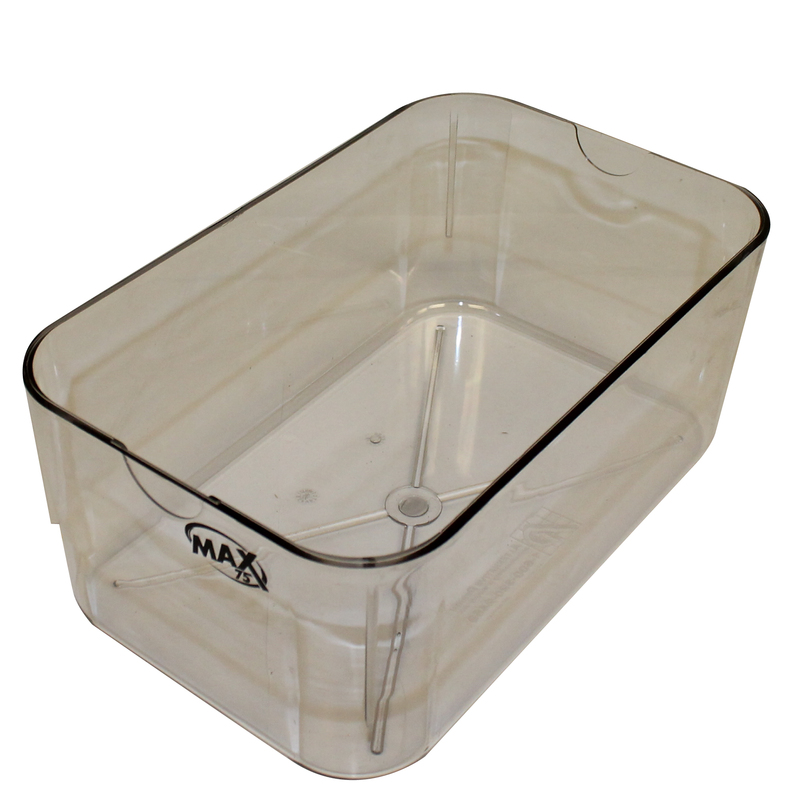 Your existing cages, from Alternative Design or another manufacturer, may fit your new M.A.C.S.® system perfectly. 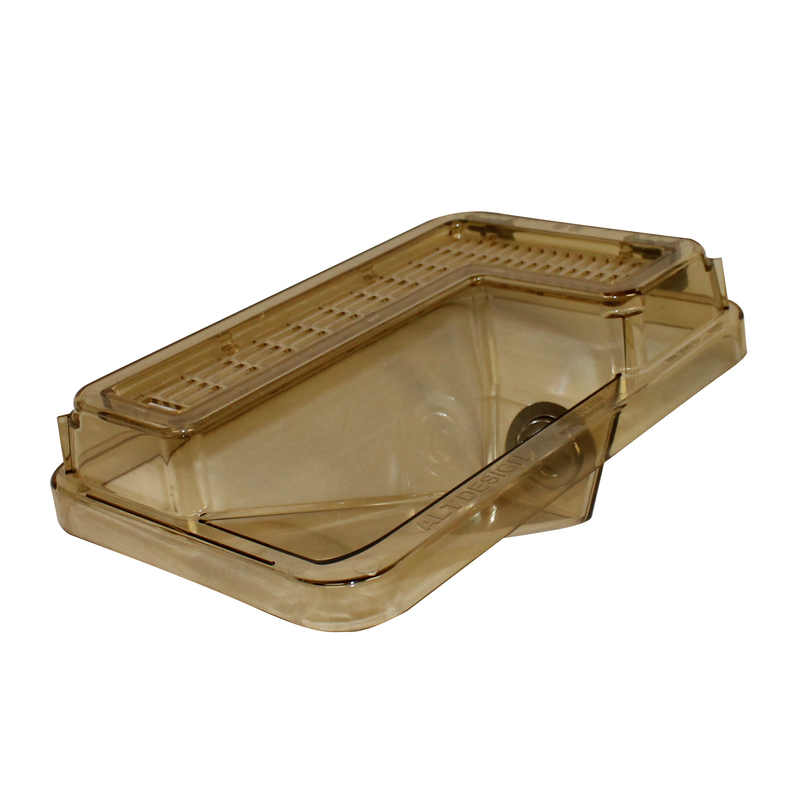 Choose the M.A.C.S.® rodent cages that best meet your needs. 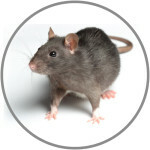 We offer a broad selection of plastic caging for the housing of rodents including Gentle-Air, Flex-Air. Ultra-Air, Max 75, Dura Cage and Uni Cage. Our large mouse and rat cages are a larger cage size designed to accommodate a variety of rodents including hamsters, large mice, guinea pigs and rats. 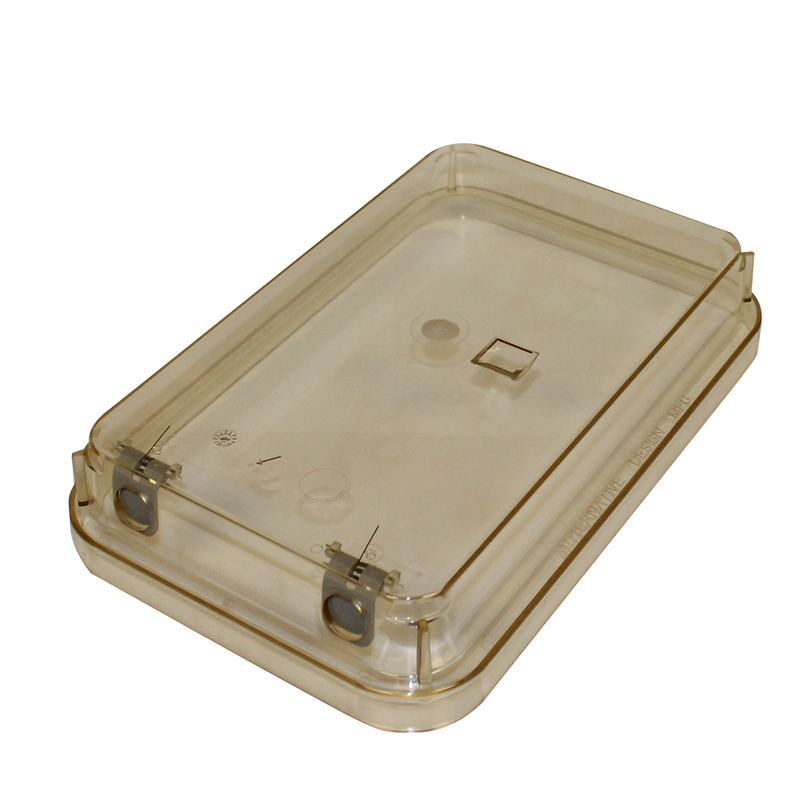 Our selection of cage bottoms and tops are available in two plastic resins – Polycarbonate and Polysulfone in the Udel® brand. 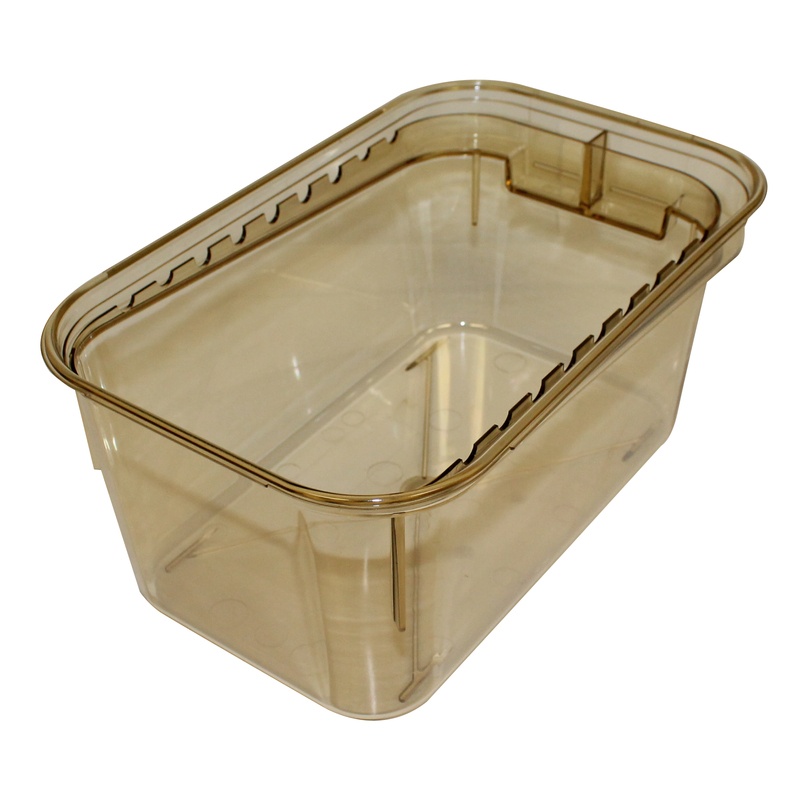 The resin you select should be based on the degree of autoclaving, longevity and your budget. 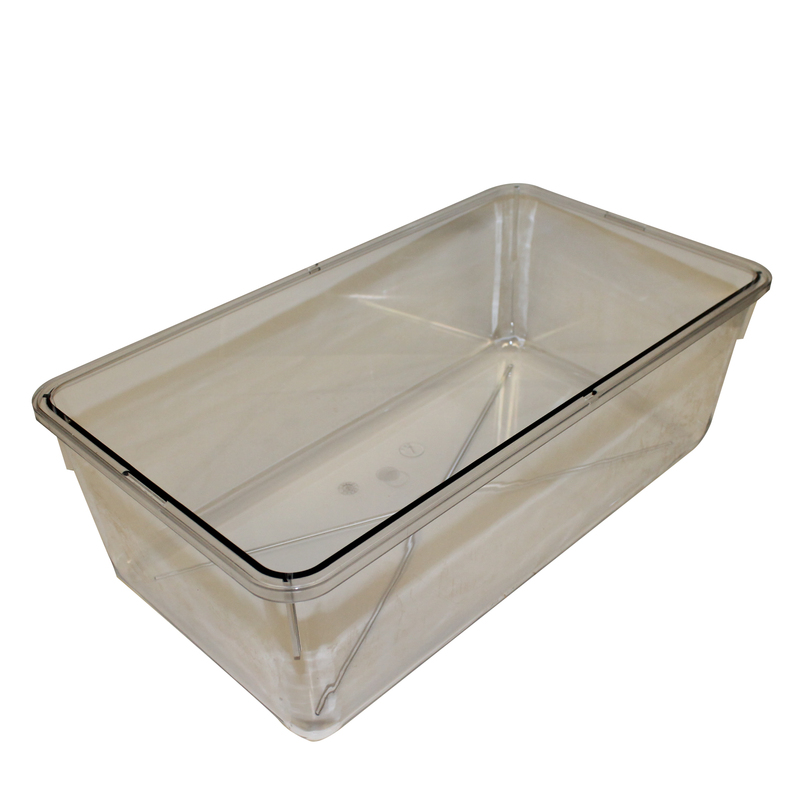 This includes, but is not limited to, cage change frequency, autoclave settings, cage washing, general handling/storage and other cost factors. 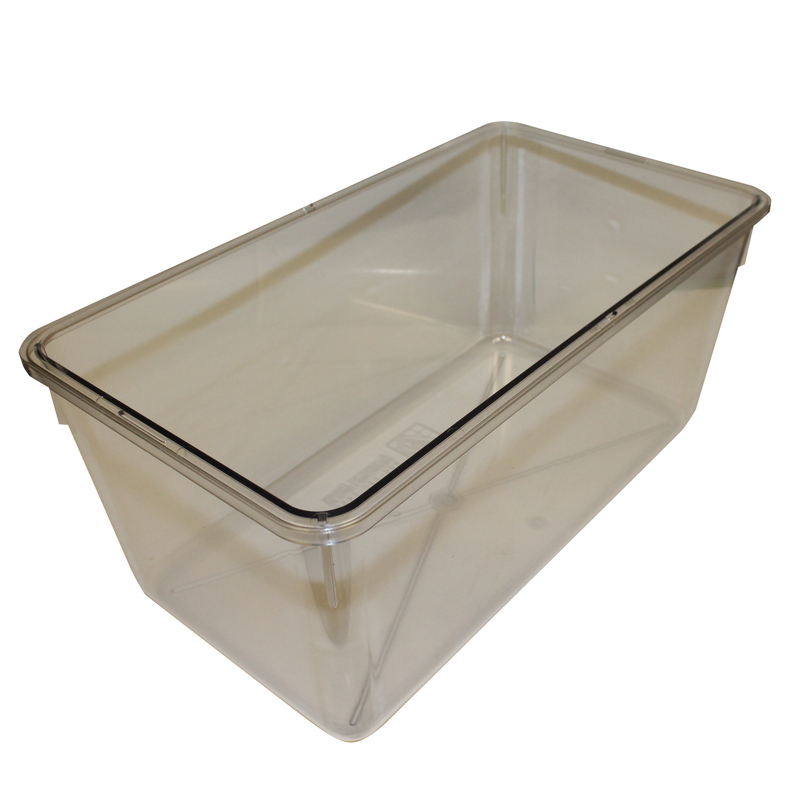 For information on the washing, disinfecting and autoclaving of plastic caging from our company, please click here. Copyright © 2019 All Rights Reserved. 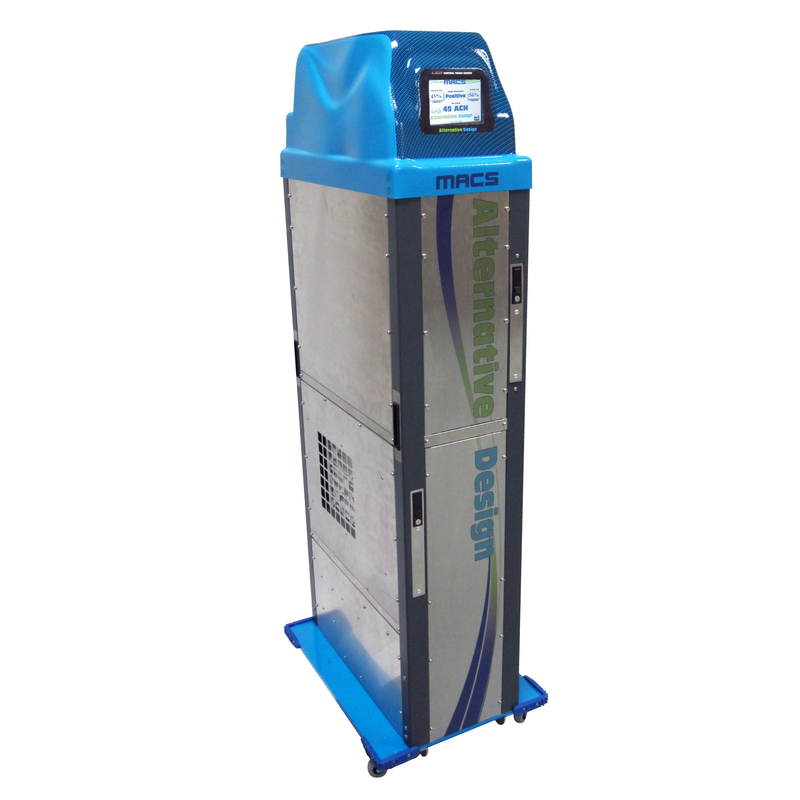 Alternative Design Manufacturing & Supply, Inc.